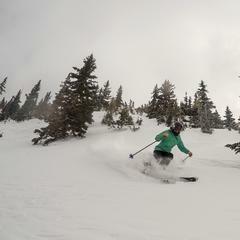 Skiing Arapahoe Basin's East Wall terrain. Spring skiing, like a turbulent relationship, can be wonderful or terrible—all depending on the day or even the hour. 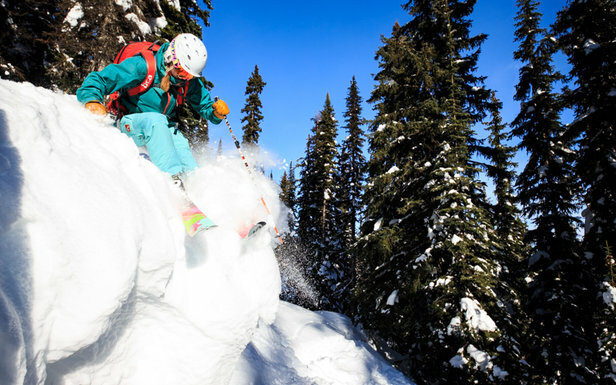 Temperature fluctuations greatly affect the snowpack—and with it, your skiing or riding experience. 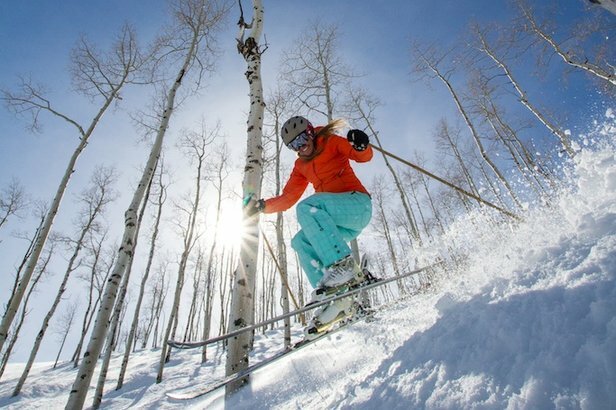 Thanks to factors like the sun and air temperatures, a slope that skied well one run ago may change by the time you ride the lift and return to it. 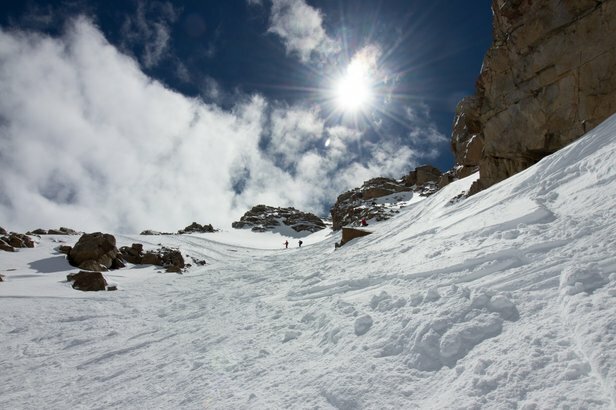 Here Cammarata advises skiers and riders on how to craft a spring ski day strategy to optimize the best ski conditions and avoid the bone-rattling, breakable crust. If you take the wrong turn on a North-facing slope too early during the melt-freeze cycle, you can loose a filling. As we head out of deep winter and toward the equinox (equal day and night), the angle at which the sun hits the slopes changes and intensifies. In addition, as the days get longer, there’s more sunlight hitting the snow. However, after the sun goes down, mountain temps often dip below freezing. All this creates a melt-freeze cycle where snow melts mid-morning through the afternoon and freezes after sundown. Skier or rider translation: Early-morning runs may feel like the surface of a coral reef. The direction a slope faces in respect to the sun is extremely important in finding good springtime snow. Knowing that the sun rises in the east and sets in the west can help you orient yourself as you approach a mountain. Think about following the sun—start on east- or south-facing slopes and move clockwise to the west and lastly to north-facing slopes. At larger resorts, you can play the elevation as well the aspect since the lower mountain warms up quicker than the upper mountain. But if the weather changes, as it often does in the spring when clouds cover the sun or the wind blows, head back to the groomers as the snow firms up. 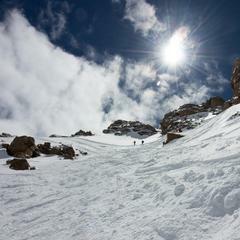 Skiing or riding at a resort usually entails a high-alpine environment, so remember to be aware of changing conditions. If you’re too busy to keep up with the forecast or just plain directionally challenged, don’t be embarrassed to use some tools. “Everyone has a smartphone on them, so you can use your cell phone for points on a compass. There’s also a slope angle feature,” says Cammarata of the compass that comes stock on some iPhones. Plenty of free, popular compass apps for Android exist as well. 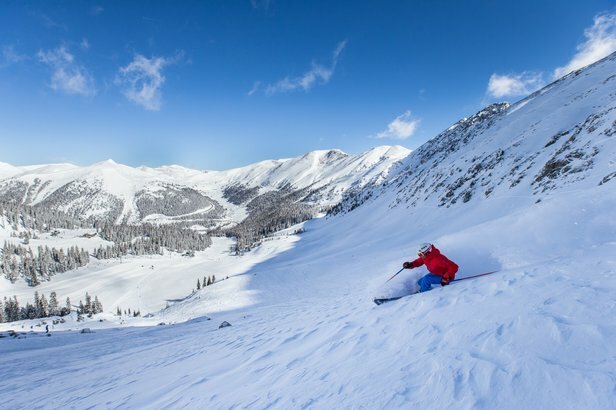 Websites with weather reports and forecasts are also invaluable when planning a spring ski day, and you can also look at regional sites including the Colorado Avalanche Information Center (avalanche.state.co.us) for mountain weather and avalanche hazardous weather information that’s useful even if you’re skiing within a ski resort boundary. So when you see a closed sign or rope closing the run you skied the day or even hours before, know that patrol has closed the area after serious observation and intimate knowledge of the slope and snow conditions. 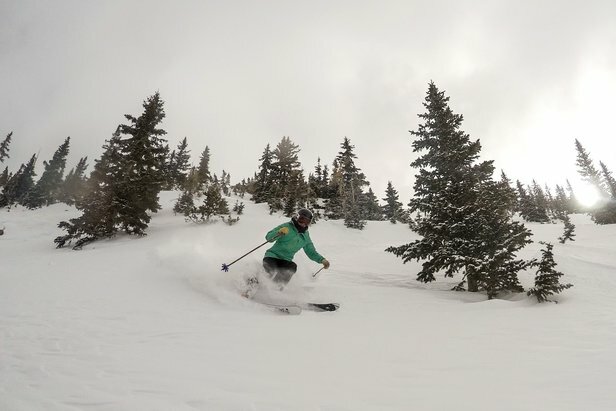 When the sun is shining and the snow sufficiently softens up, it’s easy to get caught up in spring ski fever—a case of forgetting to stop for water or of peeling off layers as the temps climb, exposing skin and eyes to solar radiation. 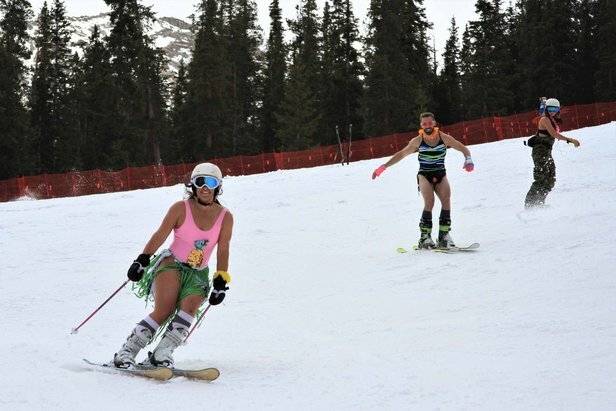 Ski patrollers, accordingly, often treat many skiers and riders for common springtime maladies. 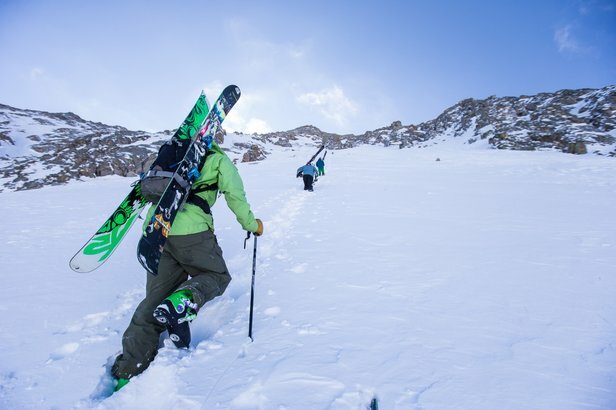 In terms of springtime skis of choice, versatile all-mountain skis provide enough waist width to “slarve” through corn snow while also possessing the ability to carve on groomed snow. 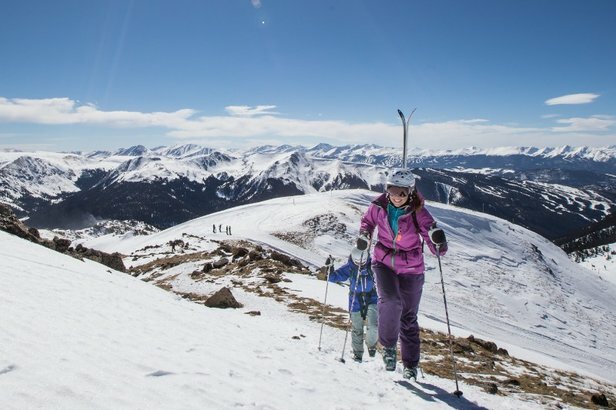 When spring skiing, think about following the sun—start on east- or south-facing slopes and move clockwise to the west and lastly to north-facing slopes.